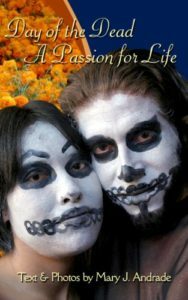 Journalist, Author, and Photographer, Mary J. Andrade introduces an award-winning series of books, which focuses on the Day of the Dead celebration in Mexico. 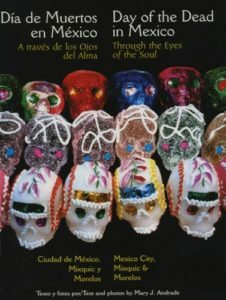 Each book focuses in the traditional festivities as they are celebrated in various regions of Mexico. The photographs are visually engaging and the text is both informative and compelling. 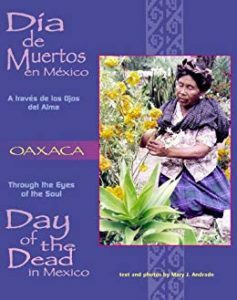 If you want to learn about the Day of the Dead as it is celebrated in Mexico, then these books are a must read. 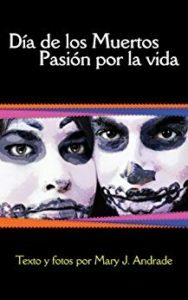 You will learn about the fusion of two culture’s believes; Spanish and Native American come together in a Celebration of Life through the Dead. 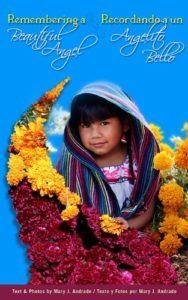 The Vigil of the Little Angels — teaches children about the tradition and importance of Day of the Dead and focuses on the roles children play in the rituals and in keeping the tradition alive. Out of print. Magical Christmas in Oaxaca — Highlights the Christmas celebration in Oaxaca. All prices include sales tax where applicable and standard shipping and handling to the contigeous 48 US states. All orders outside the contigeous 48 US states will be charged shipping and handling. We will contact you with further instructions.